So all of our heroes are back together for the first time since…halfway through Issue 2! And even though it certainly is odd how they’ve ended up back together, I can assure you that there are Reasons that we won’t keep for too terribly long. In fact, as we continue through Issue 5 and the end of our first story arc, we’ll be putting nearly all of our cards on the table for you. Nearly. As always, if you’d like to catch up, each Issue can be easily reached over on the sidebar. 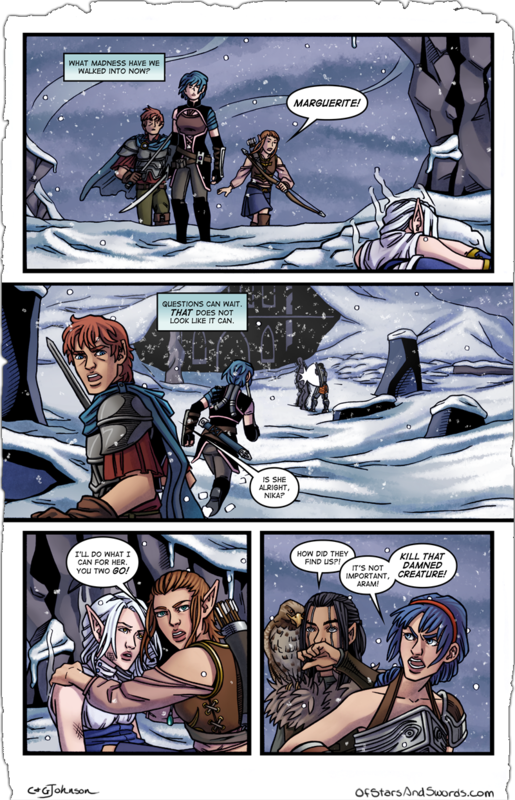 Issues 0-3 are available on Comixology. Issue 4 has been submitted to Comixology as well, but it may be in the pipeline for a bit, so it’s currently only available on our Gumroad store, completely DRM-free along with all the other issues!